This is the 400th post published on the Alabama School Connection web site. It seems a good point to stop and reflect on where we’ve been and where we hope to go. When we first started in 2009, we tracked bills of interest for those who cared about schools. Over the next few years, in addition to tracking legislation, we produced a couple of projects, “The Transparency Project” (a review of school district web sites), and “The Student Harassment Prevention Act: Does It Do What It Said It Would Do“, which attempted to reconcile state-reported numbers on student harassment with national trends in bullying and harassment. On January 22, 2012, our first post “How Do I Find and Track a Bill I’m Interested In” was published. A second article, “Welcome to the Alabama School Connection’s New Site” was published the same day. Throughout 2012, 2013, and 2014, we experimented with various ways of sharing information, including data-based (i.e., lots of numbers) graphs and visualizations, infographics, videos, and lots of social media sharing. Alabama’s media landscape changed drastically during this time, and soon we found ourselves to be one of few information sources providing consistent coverage of education issues in Alabama. In 2014, we graduated from “blog” to “news site” by incorporating the Alabama School Connection as Alabama’s first nonprofit news organization focused exclusively on covering K-12 education. Our mission statement? Propelling K-12 education into Alabama’s everyday conversations. Our hope is to expand into something similar to Chalkbeat, an education-focused news organization with bureaus in four states: Colorado, New York, Indiana, and Tennessee. In early 2015, we earned federal tax-exempt status from the Internal Revenue Service, allowing all contributions to be tax-deductible from our June 2014 incorporation date forward. As a nonprofit organization, we are solely dependent on contributions. We do not charge for content, nor do we accept advertising. Because nonprofit news organizations should be extremely transparent with the names of contributors, all donors giving more than $50 in a calendar year are published on the “Our Supporters” page. Contributors do not dictate nor influence the topics we cover. We staunchly protect our editorial independence. Finding a sustainable business model for news coverage is challenging, and some days (and weeks and months) are better than others. Moving toward a model of financial sustainability (fingers crossed) has proven difficult, and we recognize that many nonprofit news organizations have failed, even with experienced journalists, strong development officers, and excellent content. So we take this moment, this 400th post, to publicly thank all who have financially supported the Alabama School Connection. We are still here because of you. Most readers know this pursuit is a labor of love for all involved. We hope to provide information to lay a foundation to re-engage Alabama’s citizens with Alabama’s schools….not just the schools in your neighborhood, but schools all across our great state of Alabama. We hope you like what you read here. We hope that these 400 articles have informed your thinking and perspective about Alabama’s education system. We are committed to providing high-quality coverage to allow all who care about our schools to stay informed about both the good stuff and the challenges facing our public education system and those who work in and attend our schools. We believe that by doing so, Alabama’s public education system will continue to improve, and folks all across Alabama will benefit from that improvement. Here’s to the next 400. Great work on sharing very thoughtful and in-depth reports on Alabama’s education system. Thank you for being a consistently accurate resource for information. 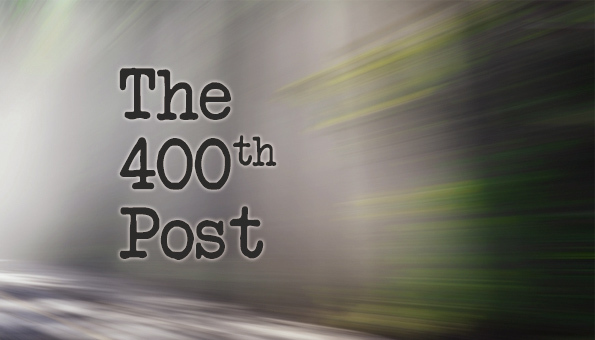 Congratulations on your 400th post! Thank you, Jill. A+ Education Partnership certainly helps keep education front and center in this state as well. Thank you, Charlotte. I appreciate your kind words. Thanks for reading! Great work on sharing very thoughtful and in-depth reports on Alabama's education system.